The key to advancing a musicians' sight reading and overall music reading ability is to recognize every note at a quick glance. Students will learn the different notes of the different staffs: Treble, Alto, Tenor, and Bass. Compare the staffs or just view one at a time. Lesson and drills are both included for an interactive learning experience. 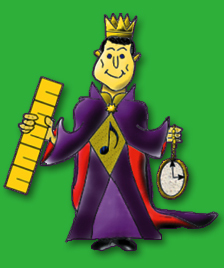 A fun, innovative way to learn how to read and count rhythms. Complete with a study mode for cognitive learning and a practice mode for psychomotor training, students will be taken through 230 rhythm slides in 8 levels of increasing complexity. Be sure to also check out the rest of our products available in eBook, CD-ROM, and DVD formats. We are dedicated to developing musical literacy for all young musicians. Our software and videos have been created for private instructors and school music educators alike to best assist you in teaching aspiring musicians. We invite you to explore our tools to discover what would best meet your needs.